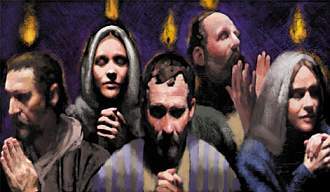 Sheepfold Ministries Sermon:20130519: "Pentecost: Tongues of Fire"
SERMON DATE AND TITLE: 20130519: "Pentecost: Tongues of Fire"
Power can be used in at least two ways: it can be unleashed, or it can be harnessed. 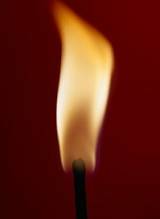 The energy in ten gallons of gasoline, for instance, can be released explosively by dropping a lighted match into the can. Or it can be channeled through the engine of a Datsun in a controlled burn and used to transport a person 350 miles. Detonate an atomic bomb and just watch as raw power is unleashed or harness the power of the atom and it will produce energy to make enough electricity for entire states for years. Explosions are spectacular, but controlled burns have lasting effect, staying power. The Holy Spirit works both ways. 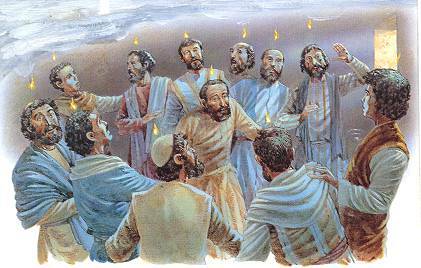 At Pentecost, he exploded on the scene; His presence was like "tongues of fire" (Acts 2:3). 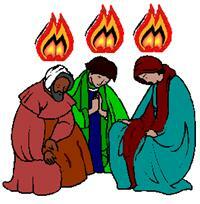 My personal Pentecost happened in July of 1972. There was instant explosive evidence of the Holy Spirit's life-transforming presence and at the same time, God began a "controlled burn" in my life that has lasted unto this present day. On the first Day of Pentecost, and the church was initially baptized with the Holy Spirit, the burst of God's power was evident by a rushing mighty wind, cloven tongues of fire, and all present were filled with the Holy Spirit as they spoke in known tongues (but not to themselves)to their hearers of the mighty works of God and the Gospel of Jesus Christ. The controlled release of God's power that day caused the people of God to go great distances to share God's Good News, lay down their lives in the proclamation of the Kingdom of God and millions of lives were transformed and changed as the Holy Spirit's Pentecostal Power was manifest in them. I am one of many thousands in this country and world-wide whose lives were dramatically changed by the explosive, power of Pentecost that was evident through the "Neo-Pentecostal" renewal of the 60's and 70's. Although I did not initially speak in tongues, the Baptism of the Holy Spirit was a life changing, transformational event for me. "And suddenly there came a sound from heaven, as of a rushing mighty wind, and it filled the whole house where they were sitting." it comes from and where it goes. So is everyone who is born of the Spirit." and they gather them and throw them into the fire, and they are burned." every branch that bears fruit He prunes, that it may bear more fruit." appears? For He is like a refiner's fire And like launderer's soap." E. What can we do to facilitate the Spirit's initial filling or refilling? me according to your word." And the angel departed from her." The late Bill Bright used to tell this story. During the Depression, a field known as Yates Pool, was a sheep ranch owned by a man named Yates. Mr. Yates wasn’t able to make enough on his ranching operation to pay the principal and interest on the mortgage, so he was in danger of losing his ranch. With little money for clothes or food, his family (like many others) had to live on government subsidy. Day after day, as he grazed his sheep over those rolling West Texas hills, he was no doubt greatly troubled about how he would pay his bills. Then a seismographic crew from an oil company came into the area and told him there might be oil on his land. They asked permission to drill a wildcat well, and he signed a lease contract. And Mr. Yates owned it all. The day he purchased the land he had received the oil and mineral rights. Yet, he’d been living on relief. A multimillionaire living in poverty. The problem was that he didn’t know the oil was there, even though he owned it. One of the great preachers in U.S. history is D. L. Moody. He pastored in Chicago and there is still a wonderful Bible College there that bears his name and values. Mr. Moody was a successful minister, but by his own admission, he lacked the power in his ministry. One day two women came up to him after a service. They said, "We have been praying for you." In relating the incident years after he writes, "I thought I had power. I had the largest congregation in Chicago, and there were many conversions." Moody also said that in a sense, he was satisfied. He was in a comfort zone. But these two praying women rocked the boat. They told him that they were praying for an anointing by the Holy Spirit. Mr. Moody could not get this off his mind and he wrote, "There came a great hunger in my soul. I did not know what it was and I began to cry out to God as never before. I felt I did not want to live if I could not have this power for service." Rev. Moody began crying out for God to fill him. He withdrew, prayed, and sought it over a period of time. He writes the following: "Well, one day, in the city of New York -- oh, what a day! -- I cannot describe it, I seldom refer to it; it is almost too sacred an experience to name. Paul had an experience of which he never spoke for fourteen years. I can only say that God revealed Himself to me, and I had such an experience of His love that I had to ask Him to stay His hand. I went to preaching again. The sermons were not different; I did not present any new truths, and yet hundreds were converted. I would not now be placed back where I was before that blessed experience if you should give me all the world." Carlyle Fielding Ste, How Long Will You Limp? : "Too many churches today are devoid of the Spirit of Pentecost because they are dry and stale, where people are in a stupor; where worship services are wooden and so scripted that they are hollow; where the preaching is dull and flat; where the singing is Geritol-tired and without the vim and vigor which speaks of a crucified, died and risen Lord; where if anyone taps his foot and says, "Amen", he is stared into silence, and if anyone shouts, "Thank you, Jesus" the people call the EMS or 911! Too many churches have become mausoleums for the dead rather than coliseums of praise for a living God. They have lost the spirit of Pentecost! They have lost their enthusiasm. They have lost their joy for Jesus and find themselves suffering from what William Willimon calls "Institutional and Spiritual Dry Rot." If the Church is to survive the next millennium it must recapture some of the praise and enthusiasm it had two millennia ago." "While I agree bonsai trees are both beautiful and treasured, still I find them to be profoundly sad. Trees are designed to be big! You climb in them, swing on their branches, or rest in the shade of their bushy canopies. The bonsai trees are too small for any of those activities. Mature trees will reach heights of 50 to 150 feet, but a mature bonsai tree will only reach 12 to 14 inches. Bonsai trees are not dwarfed by genetics. Instead, they are miniature by deliberate design. The blueprint locked inside the DNA of the young seedling promises a mighty giant, but that destiny is deliberately altered to create a bonsai. To grow a bonsai, the taproot is clipped, and the branches are pruned. Then, the developing seedling is planted in a shallow container. The bonsai reaches maturity, but it never reaches its potential. The miniature lives in a shallow dish, while its giant relative grows unconstrained outside. Locked inside every bonsai is the unfulfilled potential to kiss the sky. The reality that there are bonsai Christians goes beyond sad to heartbreaking. A bonsai Christian is the result of unrealized and unleashed potential—God-implanted potential. God’s incorruptible seed was destined to produce believers who would be called “…trees of righteousness, the planting of the Lord, that He may be glorified” (Isaiah 61:3KJV). You are called to be like a tall, magnificent tree, visually displaying the nature and glory of God. You are called to be like a giant sequoia, a tree of righteousness, so God can receive glory from your life. He doesn’t get glory when you live your life chained and defeated by sin or stunted with tiny faith and miniature results. Too many believers live satisfied and content as bonsai Christians instead of being the giants God intended. The giant sequoias that grow in the Sierra Nevada Mountains are among the oldest and largest living things of the earth. The bark on these towering wonders is over 12 inches thick. A picture doesn’t capture the enormity of the sequoia. These supersized giants are spectacular, reaching heights of 250 feet. “My brother, Robert E. McAlister, now deceased, was in Los Angeles when the following incident took place and he reported it to me. The girl, whom I knew intimately, and I heard the incident also from her parents, was Kathleen Scott. “This … took place in what is known as Old Azusa Street Mission. People traveled from every part of the world to investigate what was happening there. There was a large auditorium with an ‘Upper Room,’ upstairs. The place was open day and night for several years, with preaching services two or three times daily, and people in prayer in the Upper Room day and night. At the close of the preaching, crowds would retire to the Upper Room to pray. When time came for preaching, someone would ring a bell and all would come downstairs for the services. “Kathleen was in the Upper Room, teenage, at this particular time. A man entered the building, the service now being in process, and hearing people pray, he ventured upstairs to the prayer room. The moment he entered, Kathleen, moved by the Spirit, arose and pointed to the man as he stood at the head of the stairway, and spoke in a language other than her own for several minutes. “The ringing of the bell, calling the people to the preaching service, interrupted. All the people arose and made their way to the stairway. The man, as Kathleen approached the stairs, took her arm and directed her downstairs to the speaker’s desk and waited until order was restored in the auditorium. Then he spoke. “ ‘I am a Jew, and I came to this city to investigate this speaking in tongues. No person in this city knows my first or my last name, as I am here under an assumed name. No one in this city knows my occupation, or anything about me. I go to hear preachers for the purpose of taking their sermons apart, and using them in lecturing against the Christian religion. And poured it over me. ...The Father and the Son!